REVIEW – My father imparted many tidbits of wisdom to me prior to his passing a few weeks ago. One of his gems was, “Locks keep honest people honest.” How true this is. 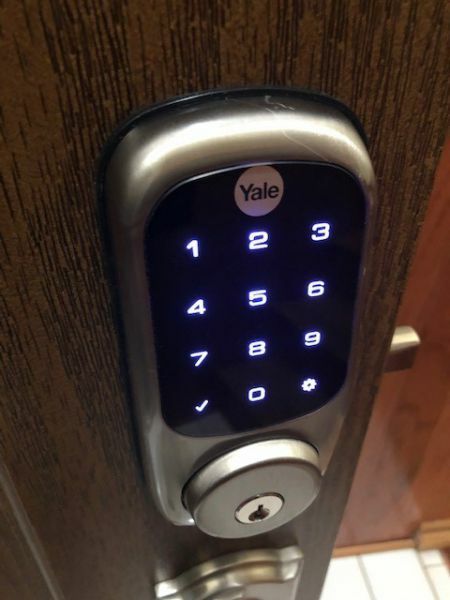 With Yale’s Assure Lock Deadbolt, my pockets have become a bit lighter and my home is protected in technological style. 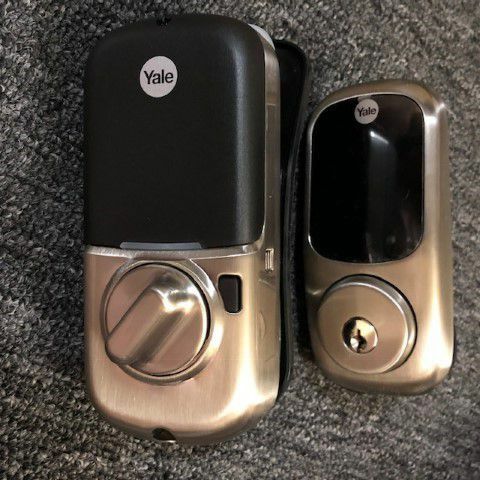 The Yale model YRD226 is deadbolt lock with an integrated keypad and wireless capabilities, enabling a homeowner to lock or unlock a door using a traditional key, user-programmable code, Bluetooth, Cellular or Wi-Fi. 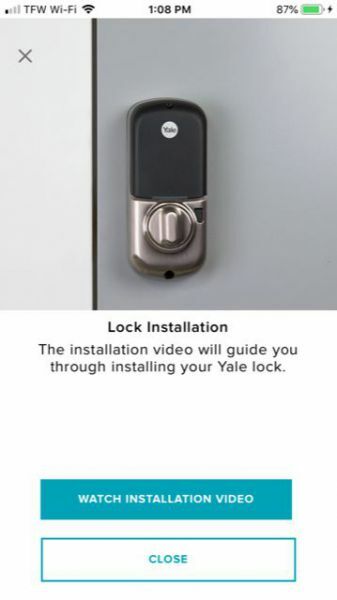 At 150 years old, Yale is no stranger to door locks, are several patents. The latest incarnation, provided is a testament to Yale’s legacy. I received the well-packaged, brushed-nickel model which matched my current door hardware. Since I was replacing an existing lock, I did not need to drill holes, save for the 5/16” hole for the door closed sensor magnet. 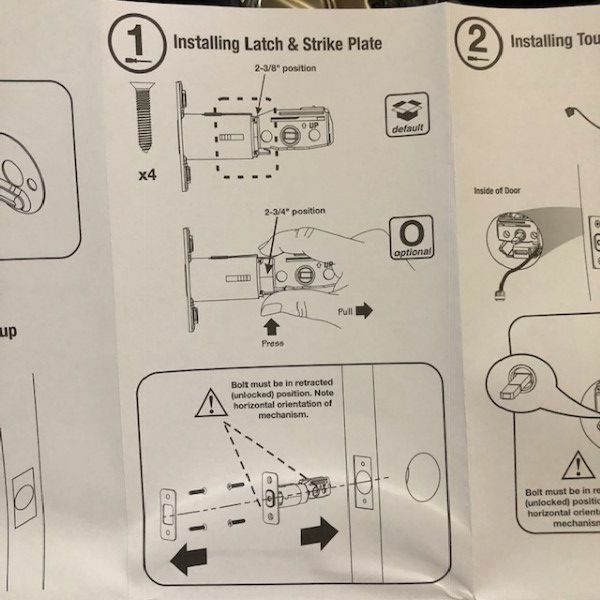 Yale’s illustrated instructions are extremely well written and easy to understand. Installing the lock took approximately 15 minutes using nothing more than a Philips screwdriver. The lock and finish is attractive and intimidatingly heavy, as a lock should be. I was almost startled upon installing the four AA batteries into the lock because it talks! A pleasant female voice directs the remaining setup functions and made setup simple and efficient and, to be honest, rather fun. There is a brief calibration process, opening and closing the door that worked flawlessly the first time. Using the keypad, I was able to create a master entry code, allowing access to the remaining configuration functions. I added a few sub-user codes and tested the lock. 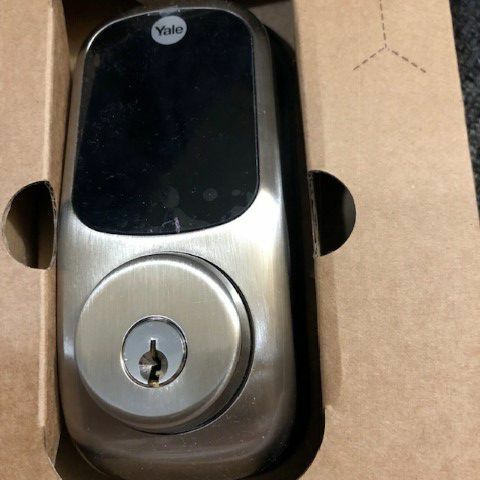 My daughter’s friends are notorious for leaving the front door unlocked, so I was thrilled at the lock’s automatic lock feature which works like a champ. I set it to lock the door 30 seconds after the door has been closed. 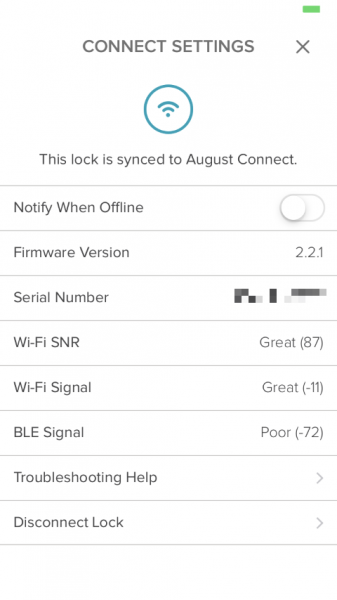 Installing the August app, I was able to connect to the lock and set up the Wi-Fi bridge module in minutes. It should be noted that the bride module communicates to the lock via Bluetooth with a limited range of about 10 feet, so plan on having a nearby outlet. 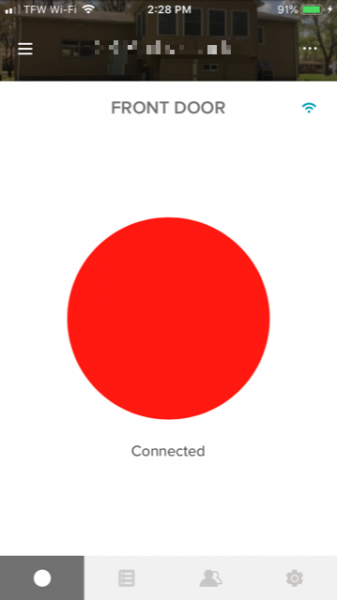 The app is compatible with Apple’s Home Kit and Alexa and works perfectly. Setup was painless. 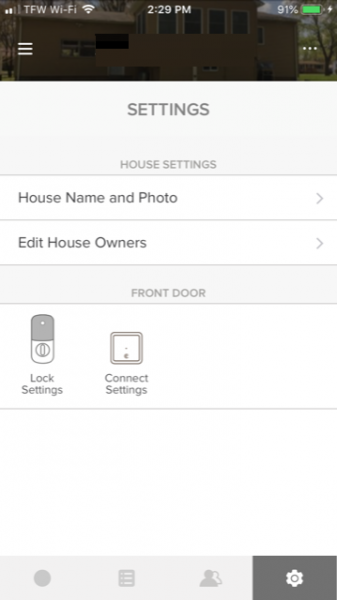 It’s great to be able to order Alexa or Siri to “unlock the front door.” I was also able to add the lock to my Wink hub, configure some IFTTT Applets and use the lock functions to activate lots of cool home automation. 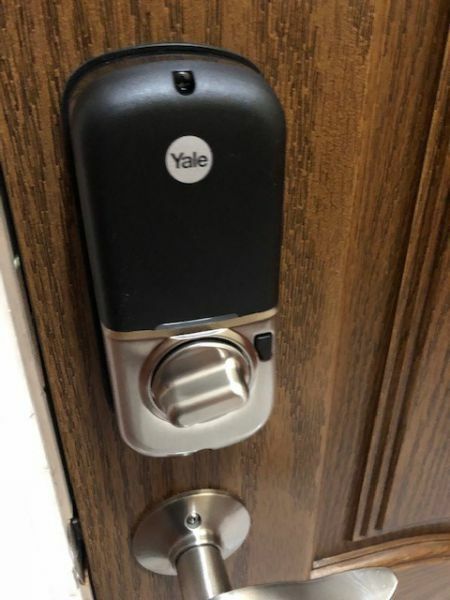 The Yale lock is one of the most well-connected gadgets I’ve had the pleasure of using thus far. Other manufacturers are encouraged to take note. 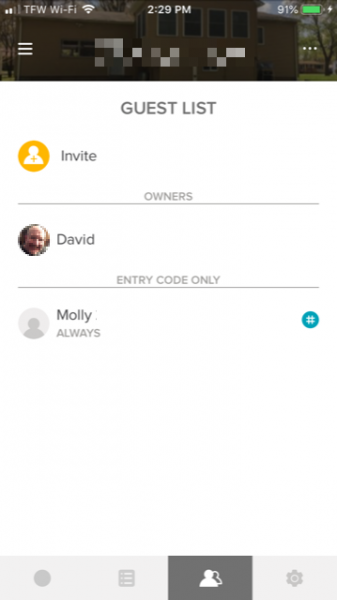 The app is intuitive, allows configuration of the lock without using the keypad and can operate the lock anywhere there is an internet connection. 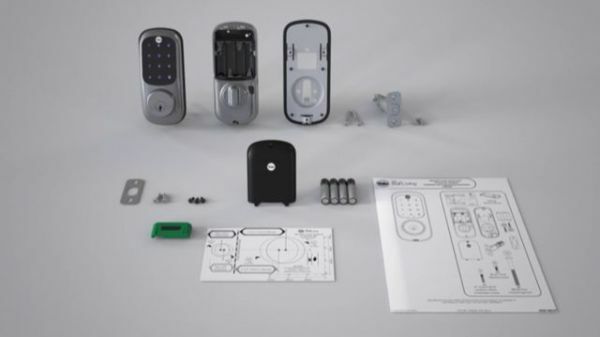 Lock settings and instructions are thoughtfully coded and the instruction videos are top-notch. 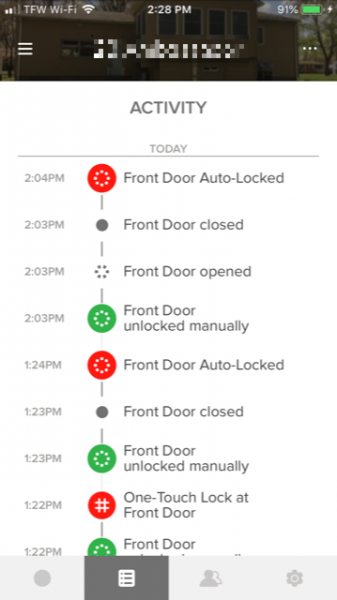 The activity log provides a record of when and how the door was opened. 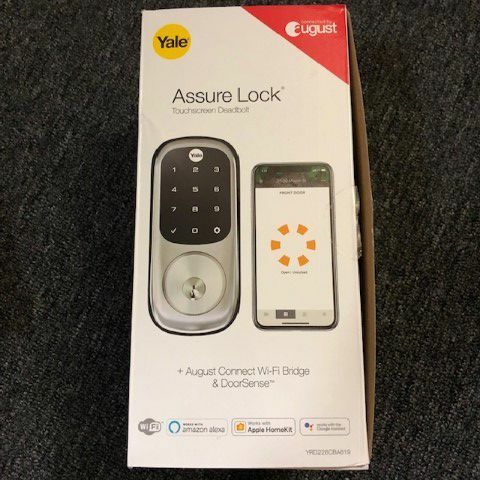 Yale’s Assure Lock YRD226 is an outstanding product, combining great quality, easy installation, fantastic connectivity, and was a genuine pleasure to install. Frankly, it’s rare to not run into some kind of hiccup installing new hardware and apps. 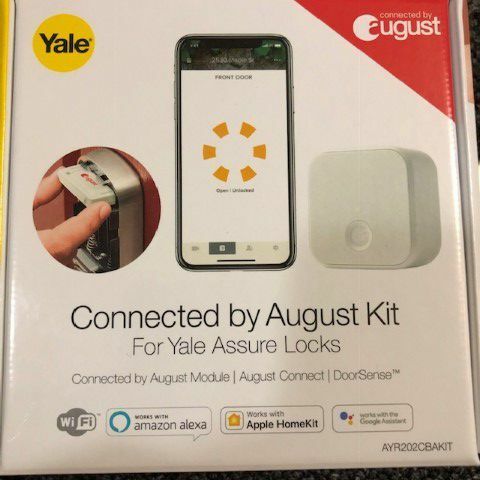 It’s my hope that other manufacturers follow in Yale’s footsteps with all of the possible connection options, making home automation choices plentiful. At some point, I will be adding more of these to the other exterior doors of my home. Source: The sample for this review was provided by Yale. Please visit their site for more info. 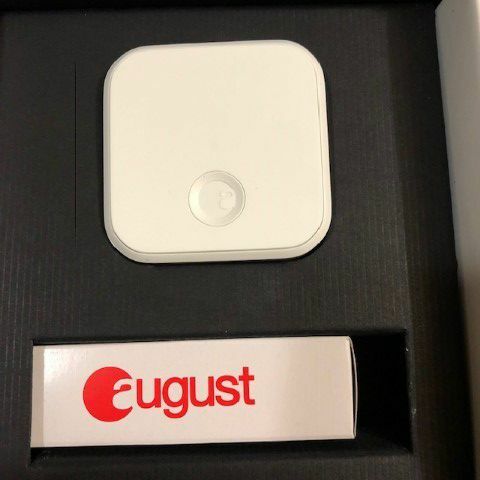 I installed one of these yesterday. It went well although there was no instructions regarding what to do with the two sensor pieces that came with the MD01 module. 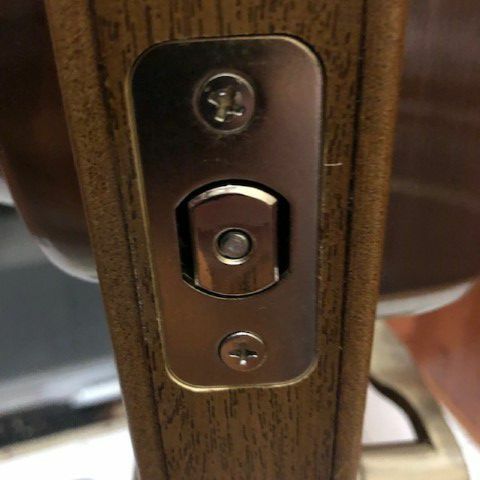 Does both the flush disk and the 1” bar need to be installed or does the lock have the ability to sense either one. 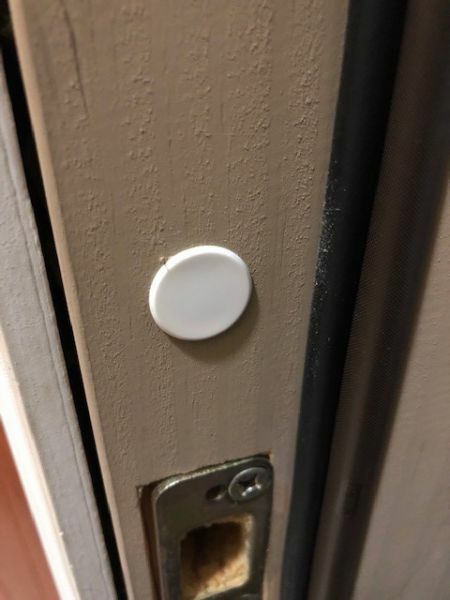 The instructions indicate that you can either surface mount the 1″ sensor magnet on the door frame or remove the magnet and install it under the flush cap (as I did). Only one location is needed and only 1 magnet is included. It’s your choice how you install it.